A bad night’s sleep can affect us all. 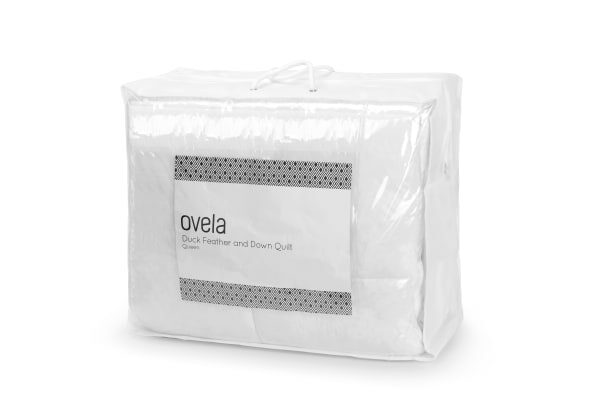 Let the Ovela Duck Down and Feather Quilt help you on your way to bedtime bliss by ensuring you stay tranquil, warm and snuggly all night long. Imagine laying in bed and feeling like you’re being gently cradled by a soft, fluffy cloud. That’s the duck down and feather difference. 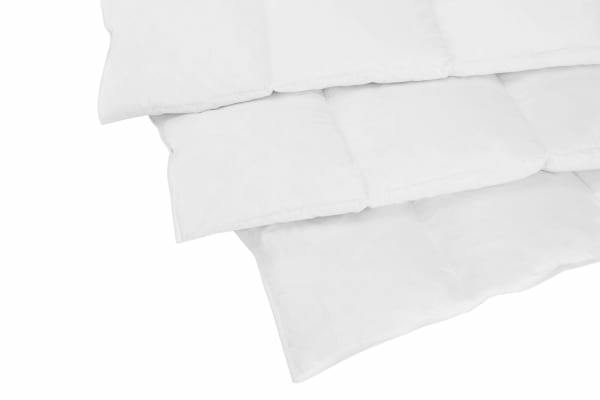 A well balanced 500GSM thickness allows the Ovela Duck Down and Feather Quilt to keep you warm and secure without being overly heavy, so you can use it all year round. 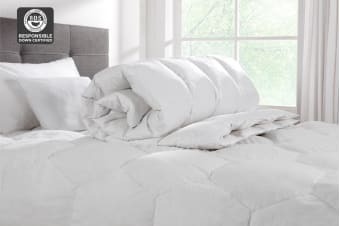 Natural materials give the Ovela Duck Down and Feather Quilt a softer and more luxurious feel when compared to wool or synthetic fibres. The down and feathers stay plump and fluffy even after extended use, meaning great value for money as well as luxurious comfort. Each cluster of feather and down traps heat better than synthetic fibres. The baffle box construction prevents shifting of the filling to stop uneven lumps and bumps and retain optimum heat.